HSNY Lectures now available on YouTube! Missed a lecture meeting? Want a refresh? HSNY monthly lectures are now available on our YouTube channel! America’s oldest watchmaking guild is bridging the gap between time and technology with a new YouTube channel allowing the public free access to its educational lectures. To provide an all-encompassing understanding of horology, lecture topics throughout the century have run the gamut from historical, cultural, technical, business and more. In addition to priority access to meetings and events, HSNY members benefit from immediate access to lectures, which often serve as a valuable source for members abroad. After two months, complete footage will now become available to the public free of charge and live on HSNY’s YouTube channel. 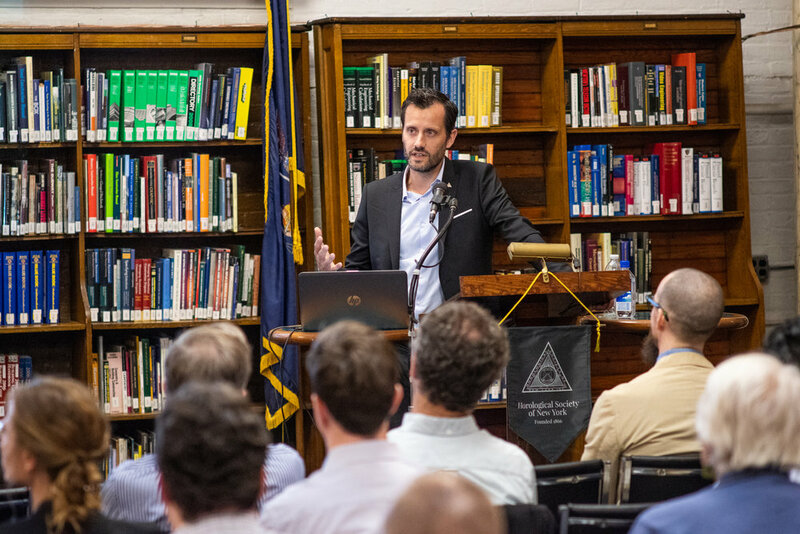 “Our monthly lectures are one of the oldest traditions at the Horological Society of New York,” said HSNY President Nicholas Manousos. “We never want to lose sight of our mission to educate, and today’s technology has allowed us to make good on that promise. Between the introduction of a YouTube channel, our Traveling Education program and our social media presence, we are more connected than ever and able to be a leading source of horological education for people worldwide." For many Horological Society of New York members, it’s fulfilling enough to attend monthly lectures and celebrate the Society at the annual gala. For Justin Shellenberger, becoming part of America’s oldest watchmaking guild led to great advancements in his scholastic and professional career. A graduate of Rolex’s prestigious Lititz Watch Technicum in Pennsylvania, Shellenberger discovered his love of horology when he picked up a book on the subject. His background in physics helped him to understand many of the finer details of the theory and he soon enrolled in the school to build the experience and skills necessary to be successful. He first learned about HSNY in 2016 when the school posted application details of HSNY’s first Henry B. Fried Scholarship, created to assist watchmaking students succeed in their studies and help cover equipment costs. After careful review by HSNY’s board, Shellenberger became the first student to receive the scholarship in 2017. Little did he know HSNY would present him with an opportunity to repair a one-of-a-kind clock. 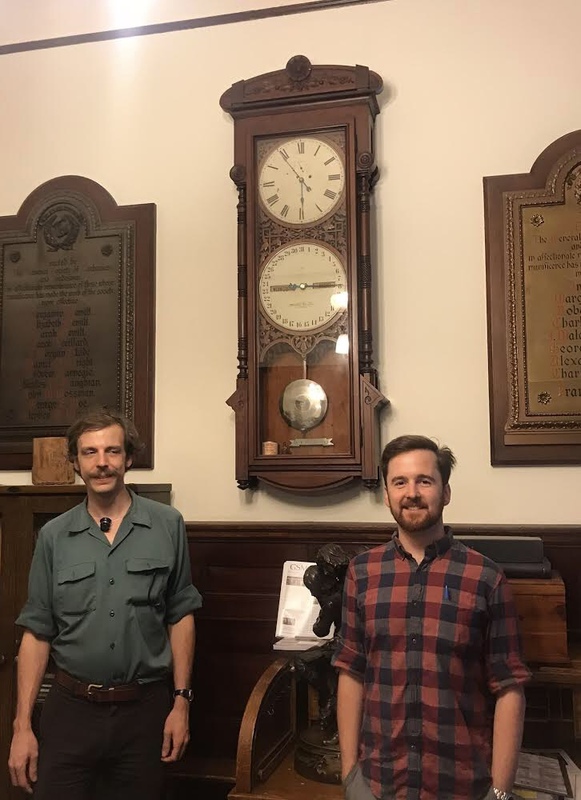 As HSNY President Nicholas Manousos was walking through the General Society building – a landmark beauty built in 1890 which is home to HSNY’s office and classroom – he noticed a beautiful Seth Thomas regulator clock in the Executive Office on the mezzanine was not running. After investigation, Manousos discovered the clock dating back to the 1800s had been broken for some time. Naturally, HSNY decided to step in and offer to repair the antique. In addition to repairing the clock which was revealed to have a severely damaged calendar, Shellenberger was tasked with creating new parts, including a calendar hand which he redesigned with the General Society’s arm and hammer logo. 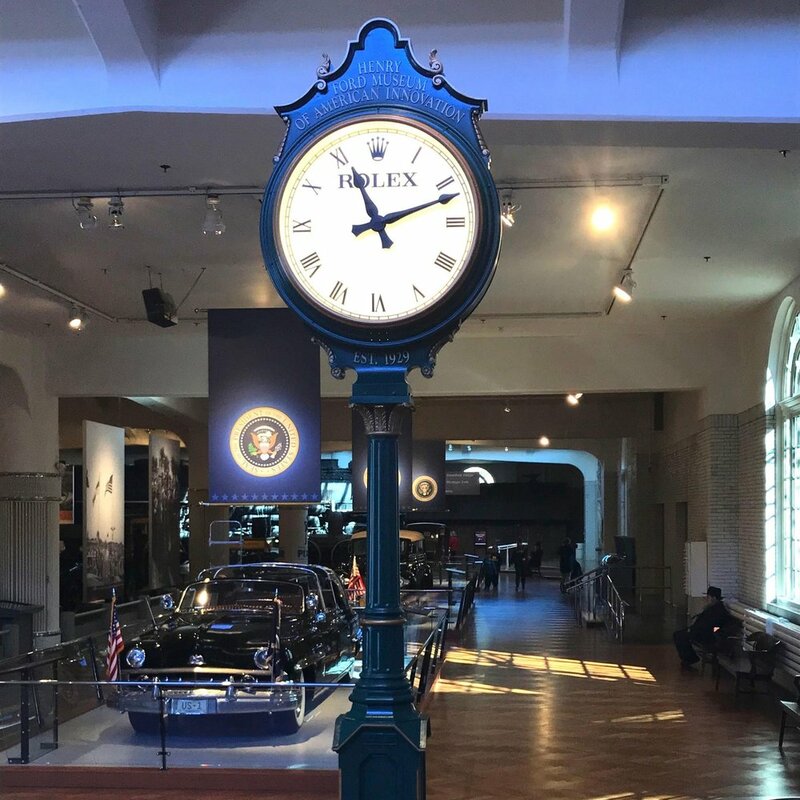 "We are so grateful for the magnificent restoration of our precious 19th century-old Executive Office Clock," said Victoria A. Dengel, Executive Director of The General Society. "Justin gave a treasured work of craftsmanship new life through the dedicated work of his hands. His masterful work in restoring the Society's precious clock will be recalled as a very special moment in the history of the General Society." Check out Justin Shellenberger's website - https://tidsmed.com. Established in 1631, London's Worshipful Company of Clockmakers is the oldest surviving horological institution in the world. The Company's incredible collection is on display at the Science Museum in South Kensington, London, open free to the public daily. After more than thirty years of service, Past Master Sir George White decided not to seek re-election as Keeper of the Collection and Anna Rolls was appointed as Curator. Anna Rolls is a conservation professional with over eight years of experience working within the museum sector. Rolls previous position was at the Royal Museums Greenwich, where she worked as the Objects Conservator for Scientific Instruments. Rolls recently carried out research on the Greenwich Time Ball as part of its ongoing repair, and delivered a joint lecture on the subject at the Royal Observatory. Rolls graduated from the University of Sussex in 2008 with a MA in Conservation Studies. Rolls has a Postgraduate Diploma in Conservation of Fine Metalwork from West Dean College and is studying for the Diploma in Repair, Restoration and Conservation of Watches through the British Horological Institute's Distance Learning Course. 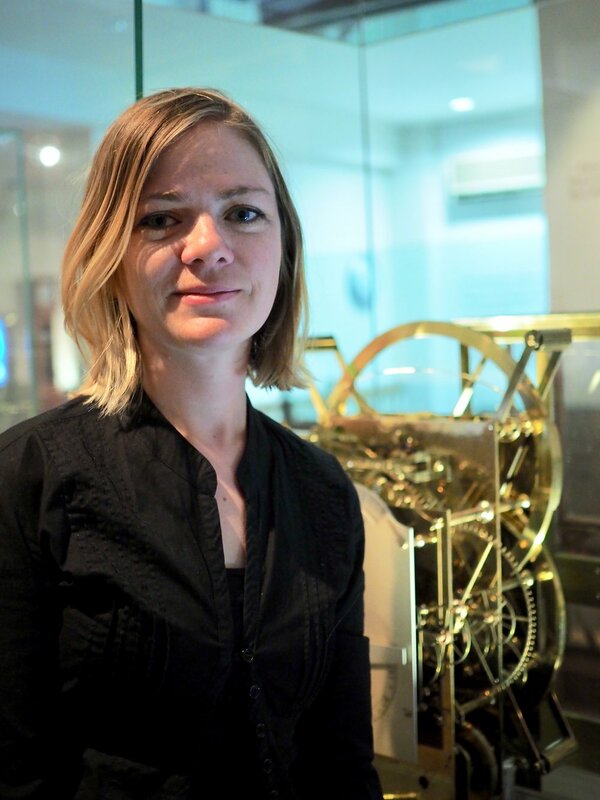 Past Master Sir George White said that he is "delighted to welcome Anna into the new role of Curator and looking forward to passing on so much of the history of the Clockmakers' Company that lies behind the items in the Collection." The Horological Society of New York congratulates our friends across the Atlantic on their continued success in advancing the art and science of horology, and wishes all the best to Anna Rolls with her new position. HSNY held its first international classes in Toronto, Canada, on July 7th and 8th,, 2018. The sold out classes were hosted at Charles Pachter's Moose Factory Gallery by Moe Jaber. "Over the past two years, HSNY's traveling education team has done an incredible job in taking watchmaking on the road, visiting fifteen cities across the US,” says HSNY President Nicholas Manousos. “Now, HSNY is expanding its reach with its first international class in Toronto, Canada. We want to share the joy of watchmaking with the world, and we hope to see you soon at a horological education class." Through HSNY's Horological Education, students discover what actually makes a watch tick with hands-on classes taught by HSNY's staff of professional watchmakers. During the half-day workshop, students work on a mechanical watch movement, studying the gear train, winding and setting mechanisms, and escapement. Follow HSNY on social media for the latest traveling education announcements. Want us to visit your city next? Sound off on social! For the Horological Society of New York’s June, 2018, lecture, Grégory Dourde, CEO of HYT Watches and Preciflex, spoke on one aspect of horology we don’t often consider – fluidic horology. Dourde took HSNY on a journey through time, through the flow of liquids. An art dating back approximately 4,000 years, water clocks go down in history as one of the oldest instruments used to measure time. Today, HYT pays homage to the discoveries of our ancestors with a scaled-down version designed for the wrist. With the purpose of bringing to life and proposing a new representation of the flow of time, HYT captures the essence of the centuries-old practice with multiple liquids. Dourde guided HSNY on the composition of their H0 model wristwatch, which contains a green liquid that represents time passed, and a transparent liquid that depicts the future. They meet – not mix – in the now. A modern master of fluidic horology, Dourde shared the obstacles HYT overcame in order to bring their inventions to life, including the creation of their iconic vibrant fluids, produced in-house and injected in air-tight capillaries – both of which were produced with the help of experts in the fields of medicine and science. Unique technologies to HYT’s wristwatches also includes a light module, which the team invented with no batteries in order to preserve the horological spirit of fluidic time. Instead, HYT models include a microgenerator that creates alternating currents via two LEDs. When it came to manual priming, HYT developed a special machine and process to extract and inject air to produce an air-tight capillary created to stand the test of time. 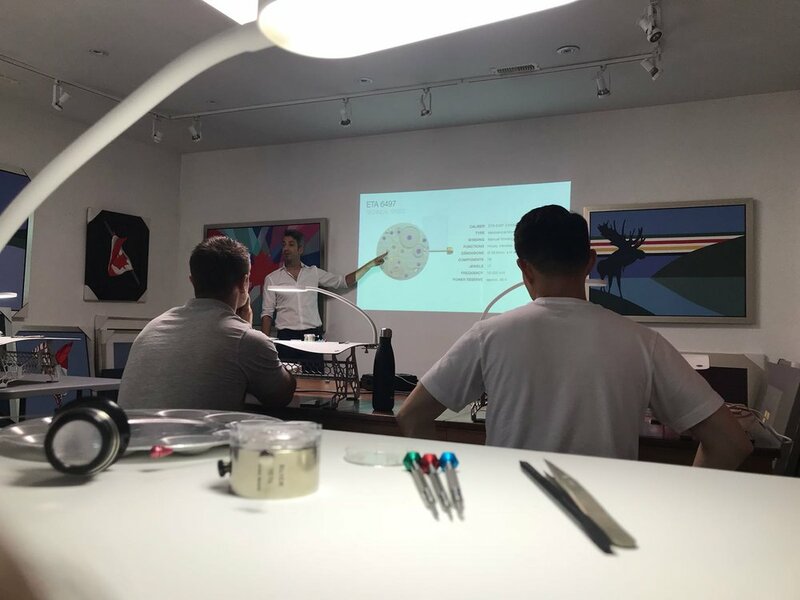 The lecture was a fascinating look at how the centuries-old invention of fluidic time continues to evolve and be interpreted in ingenious ways, showcased here through the work of HYT. HSNY thanks Grégory Dourde for his fascinating lecture! Furthering the Horological Society of New York’s (HSNY) educational mission, German watch manufacture A. Lange & Söhne has joined as a sponsor. A. Lange & Söhne’s generous support will enhance HSNY’s 152-year-old monthly lecture series, horological education classes, watchmaking scholarships, and extensive horological library. Silvia Juarez-Henry, President of A. Lange & Söhne North America said "We are very glad to support the Horological Society of New York. A. Lange & Söhne takes pride in the craftsmanship and innovation behind our timepieces, and it is important to share that knowledge and make it accessible to the public. The Horological Society of New York is dedicated to advancing the art of watchmaking through education, and we are excited to be part of their mission." Nicholas Manousos, President of HSNY said "HSNY was founded in 1866 by German immigrants to New York City, with many of our Society's early members having worked or studied in the historical home of German watchmaking, Glashütte. We are delighted to count A. Lange & Söhne, one of the most celebrated German watch brands, as a sponsor. HSNY thanks A. Lange & Söhne for their kind support." Manufacture A. Lange & Söhne was established in Glashütte, Saxony, by Ferdinand A. Lange in 1845. For the next hundred years, A. Lange & Söhne pocket watches were among the most sought-after timepieces in the world, until the Second World War forced the company into a 40-year hiatus. In 1990, following German reunification, Walter Lange, great-grandson of Ferdinand Adolph Lange, revived the brand and launched the first collection in 1994. Founded in 1866, the Horological Society of New York (HSNY) is one of the oldest continuously operating horological associations in the world. HSNY was started as a guild (union) for working watchmakers in New York. Today, HSNY is a member and sponsor supported 501(c)(3) non-profit focused on education. Its lecture series is a New York tradition, offered monthly for over 150 years. Its award-winning horological education classes travel the world to educate the public on what makes a mechanical watch tick. And its Henry B. Fried Scholarship is awarded annually, benefiting American watchmaking students. The OSUIT School of Watchmaking was founded in 1946 and initially focused on education for veterans. As of 2018 the OSUIT School of Watchmaking was one of only a few original programs still in operation at OSUIT. The OSUIT School of Watchmaking was in part funded by the Swiss American Watchmakers Training Alliance (SAWTA). SAWTA is a program created by Rolex to standardize curriculum, testing and certification of watchmaking students in the USA. We are always interested in hearing members’ stories about their interest in horology. At our last meeting, a nice gentleman stopped me and asked for his membership lapel pin, having recently joined HSNY. As I was handing him his pin, he asked for one for his son in Belgium. Because his son is a full time student, and membership is free, I gave him a pin for his son, and suggested that his son join our society. A few days later, Pascal Vanelderen surprised me with the wonderful photo above. "As I got more discerning about different watches and manufacturers, my interests evolved from the merely aesthetic appearance to gaining insight into the different movements and finally also wanting to be more knowledgeable about the watch industry itself. By roaming the internet during this quest, I ended up discovering the Horological Society of New York and becoming a member. The lectures and meetings are exactly what I am looking for: concise, not shying skepticism and covering all aspects of horology. After watching numerous lectures on the website, I finally was able to attend a meeting on Monday May 7th (me living in Belgium) which, after a warm welcome from Ed Hydeman and interesting conversations with different members, fulfilled all expectations." "My love for watches really started off after getting my first higher end watch from my parents for my 16th birthday which was a Breitling Galactic 44. It was really interesting to hear about all the terminology like Swiss escapement, Chronometer vs. Chronograph,... it really fueled my interest because before I could only see and care for the appearance of the watch. My best friends and me discuss what we learn about watches and help raise each others interests. My curiosity is mostly fed by what my dad tells me about watches. We can spend hours talking about everything that is happening in the watchworld. With becoming older I am more and more interested about everything what has to do with watches. I still have much to learn, but I have the time and the curiosity to do so and to explore more about the watchworld and watch community." The Swiss watchmaking industry has had its share of ups and downs over the decades, including a period of rapid growth over the last 20 years. 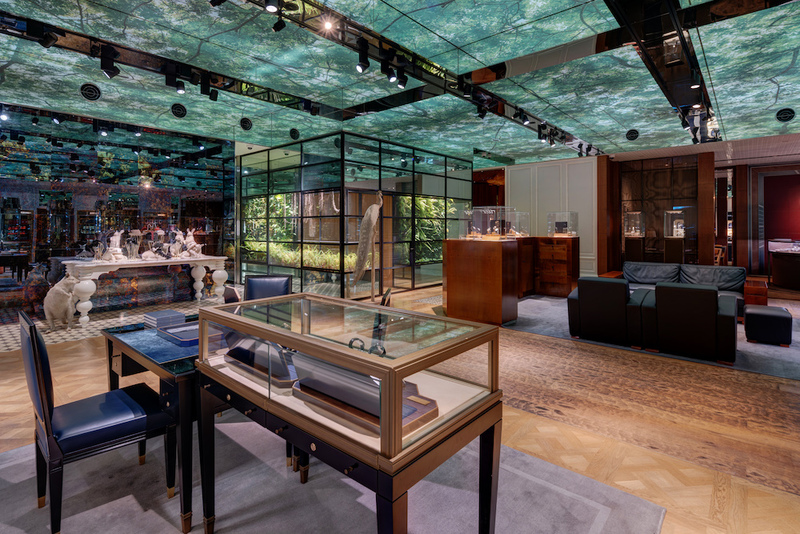 At the May 7, 2018, meeting of the Horological Society of New York, William Massena discussed the past, present and future of the Swiss watchmaking industry, posing many thoughtful questions to the audience. The first point Massena addressed was the title of his lecture, "The Swiss Watch Industry: 20 Years Into the 21st Century." Massena explained that even though we are only in the year 2018, the 21st century really started for the Swiss watchmaking industry in 1998 when the Asian financial crisis caused a large portion of the Swiss watchmaking industry to bring their distribution channels in-house. Massena then discussed the large conglomerates operating in the Swiss watchmaking industry today, explaining their successes and failures. Panerai was used as an example of a brand that is having difficulty today. Their strategy of abundant limited editions of similar watches painted the brand into a corner, where customers stopped being interested. Massena explained that this scenario has played out many times, and made the case that large watch brands today are essentially marketing machines first. Massena also showed how brands in the same group will market very similar watches at different price points, with only minor differences in quality. Independent watch brands were then discussed, with Rolex being the first example. Rolex does offer similar watches at different price points, but Massena showed how this is largely tied to the amount of precious materials used in the watch. Audemars Piguet and Patek Philippe were also cited as examples of successful independent watch brands. Massena explained that the smaller independent watch brands, such as Richard Mille and MB&F are also doing quite well today, in contrast to the challenges faced by the brands owned by large conglomerates. Massena concluded by discussing the future. 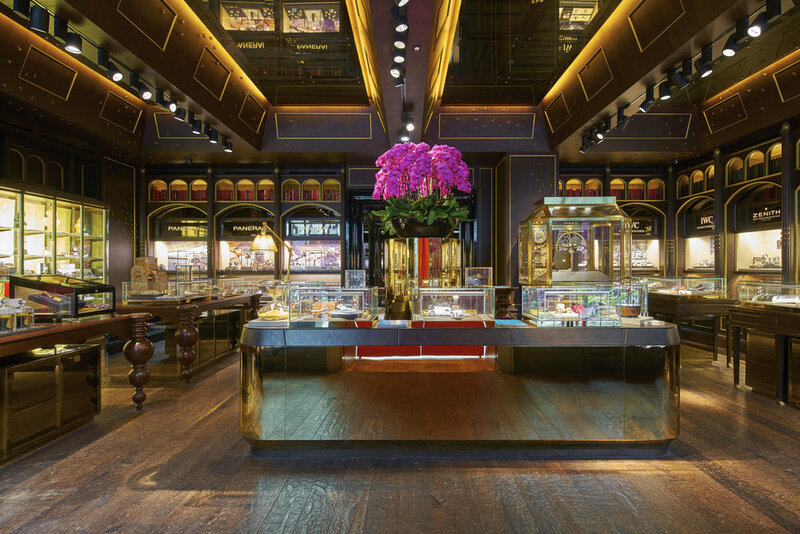 He stated that larger independent brands will continue do well, and that new watch buyers are looking for innovation, rather than the traditional watches that their grandfathers wore. HSNY thanks William Massena for his fascinating lecture! HSNY's President, Nicholas Manousos, and Executive Director, Ed Hydeman, recently visited two schools in New York City as part of HSNY's ongoing Outreach Program. On Monday, March 12, 2018, the duo visited P.S. 62 in Queens for their Career Day, where they spoke with 135 fourth graders in the school's auditorium. The following Wednesday, March 14, 2018, the duo visited The Riverdale Country School in the Bronx and spoke with a class of middle school students who were in the middle of an experiential study program on horology. The great George Daniels said, “Mechanical watches are historical, intellectual, technical, aesthetic, useful, and amusing.” While many of us can agree with the first five points, the last one might be a bit befuddling. But automata combine all of these features in a way that still remains fresh and exciting. At the March 5, 2018, lecture of the Horological Society of New York, Antiquarian Horologist Brittany Nicole Cox, of Memoria Technica in Seattle, gave a lecture on a specific type of automata: smoking automata. Before she delved into these fascinating figures, Cox described the intricacies of automata and the importance of horological conservation. More than just telling time, automata serve a function, and Cox’s main concern is preserving that function along with the historical integrity of the piece she is working on—no matter how complicated that task might be. Clocks with automata figured and singing bird boxes (some actual taxidermy birds with mechanical innards) are some of the horological figures Cox works on. Cox’s lecture on smoking automata powered by bellows was presented as a way to promote conservation research into materials. These intricate and complex machines often pose a particular set of problems for the conservator. Damage through performance and natural degradation, the use of mixed materials, even the use of the bellows themselves, can all contribute to an automaton’s degradation over time. The cigarette smoking automata were made in the Marais District of Paris between 1848 and and 1914. In addition to being made of materials like textiles, leather, paper, wood, and clockwork innards, these automata also smoked real cigarettes. Cox did her study on an automaton made in the workshop of Gustav Vichy. The automaton wears a red coat, white trousers, and leather boots—all which needed to be removed in order to expose the bellows beneath. When operated, the clockwork mechanism pumps the bellows in time with the motions of the figure. The head moves from left to right, the eyes blink, and the mouth is open to draw cigarette smoke into it. Upon exhalation, the arm is lowered, and the mouth is opened, exhaling the smoke. The monocle is raised to the right eye and the figure blinks through it. A tube inside the automaton’s hand, connecting it to the chest, draws the smoke in, and another tube draws the smoke back to the mouth. Historicall, components of the bellows system were made from alum-tawed skin and vulcanized rubber, which can become brittle and prone to breakage. In order to work, however, bellows must be flexible, strong, and airtight. This poses a unique problem to the restorer. To construct their replacement, Cox elected to use Tyvek, a modern material that is chemically stable, durable, flexible, durable, strong, and airtight. Cox undertook three trials, exposing the Tyvek bellows to smoke and tensile testing. To repair the damage to the head, Cox used Japanese tissue and wheat paste. HSNY thanks Brittany Nicole Cox for her fascinating lecture! For the first HSNY meeting of 2018, noted watchmaker Peter Speake-Marin spoke at about his new project, The Naked Watchmaker. The Naked Watchmaker is a website devoted exclusively to pursuing horological education. In Speake-Marin’s own words, he intends to "bring to a new generation the magic and passion of watchmaking, and to increase the knowledge of those already bitten by the horological bug." As a veteran watchmaker, Speake-Marin has garnered extensive experience with the inner workings of the Swiss watchmaking industry. He spent several years in after-sale service, restoration, building complicated movements, product development, training, and developing companies. The Naked Watchmaker is a fulfillment of a lifelong goal for Speake-Marin. The Naked Watchmaker covers information in six categories, offering insight on areas that collectors will experience in pursuing their passion. For example, many collectors start with the first category, pocket watches, but might find that they are tricky to service due to the age and obscurity of many of the parts. Collectors of vintage watches, the second category, might run into the same issues; moreover, due to the fact that certain features of vintage watches—that might be considered damage by watchmakers—can in fact be considered valuable. Even collectors of watches made by modern independent brands, the third category, run into their own unique challenges due to the fact that many watches created by independent brands can be one-of-a-kind pieces. 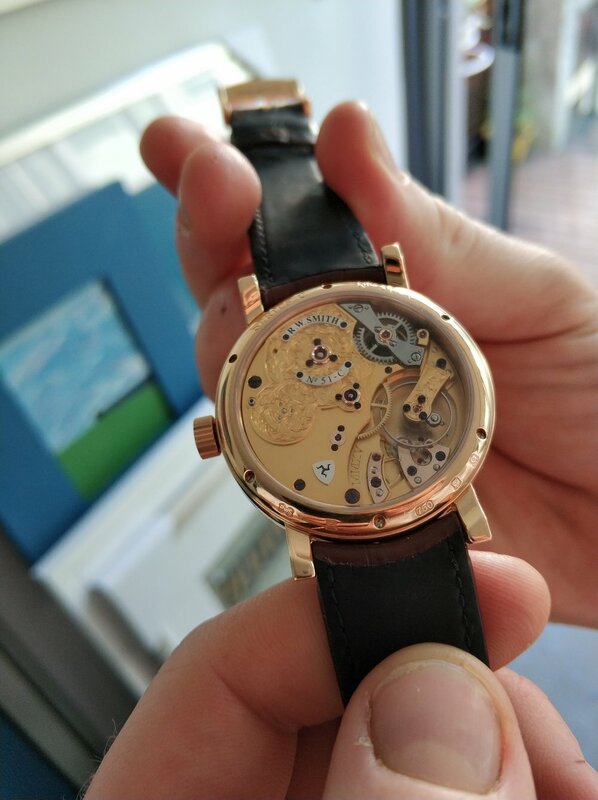 For the fourth category, "just movements", The Naked Watchmaker intends to bring insight to the unique and obscure features that many historical movements possess. The same holds true for modern calibres, the fifth category that The Naked Watchmaker covers, because many are only serviced by large brands. Finally, Speaks-Marin intends to offer horological art, the sixth category, on his platform. In the future Speake-Marin intends to continue to populate the site and make it a "Wikipedia for watches." Future sections include: modern machining techniques, how watches work, books (both paper and electronic), recommendations for museums and schools, and videos made in collaboration with Watches TV. HSNY thanks Peter Speake-Marin for his fascinating lecture! Hans Weber died on the morning of Saturday, January 6, 2018. Hans was an active member of the Horological Society of New York for over 50 years, and was the only person to have attended both the 100th Anniversary in 1966 and 150th anniversary in 2016. Hans served as a Trustee for the Society, and was presented the Howard Fass award at the 150th Anniversary for his extraordinary dedication to the Society's ideals. Hans worked at both Cartier and Tiffany & Co. in New York. He was a kind man, a talented watchmaker, and he will be missed.